The body’s sodium (salt), potassium and water levels are kept in equilibrium through aldosterone secreted by the adrenal gland. Known as the body’s electrolytes, these same essential salts may be a factor in hearing loss. This is because sodium and potassium levels -regulated as we know by Aldosterone – are also crucial to our hearing, hence the Aldosterone hearing loss correlation. The inner ear, which is often linked with the sensorineural hearing loss condition, is particularly sensitive to Aldosterone levels. From child hearing loss to age related loss of hearing, through hearing loss in one ear to ringing in ears and tinnitus -the symptoms of hearing loss range from mild to acute. Looking beyond age related hearing problems, knowledge of Aldosterone brings hope for a variety of hearing problems, including AIED (autoimmune inner ear disease) and Meniere’s disease -a debilitating condition of the inner ear characterised by problems with balance, vertigo and constant ear noise / tinnitus. Taken alongside everyday precautions to safeguard our hearing – such as keeping headphone levels down on personal devices -an Aldosterone supplement is both simple and safe to administer. 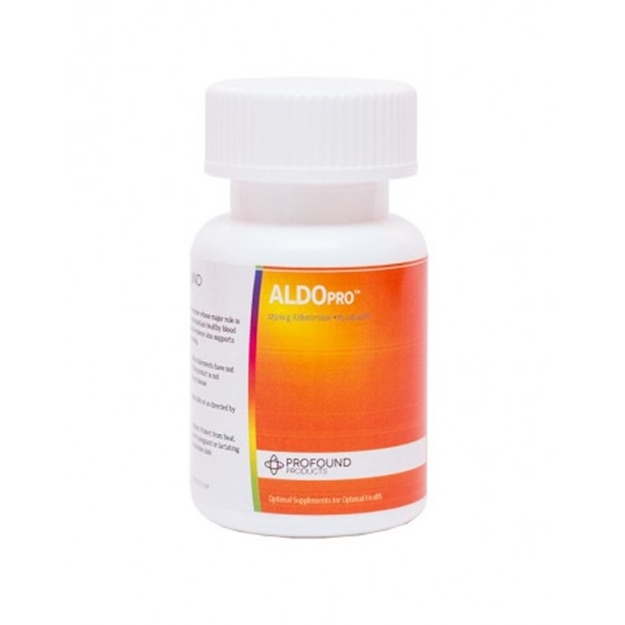 A typical dosage is one Aldosterone capsule 1 or 2 times daily. How many sprays are in each bottle of Aldo-Spray? Each bottle contains approximately 80 sprays. I understand from Dr. Wright’s data that hormones must be either used through the use of lozenges dissolved sublingually or with a cream or skin patch. He states that if just swallowed, the hormones are digested and not absorbed properly? Some hormones are better absorbed sublingually or transdermally etc., but there is not such an issue with Aldosterone which can be absorbed orally, in fact it is our understanding that Dr. Wright was using aldosterone orally in his research. For most people Aldosterone therapy is well tolerated and should not pose problems. However, caution in using Aldosterone is recommended if a person has a tendency to swell easily in the hands, ankles and / or feet or who suffers from high blood pressure (hypertension). Patients who swell easily or who have high blood pressure should not take Aldosterone at all or, if they do, they should start on very low doses and then after ten days cautiously increase their daily dose if no contraindications appear. supports that it may have a role in hearing. Directions: Take 1 to 3 capsules daily or as directed by your physician. Disclaimer: This product and its statements have not been evaluated by the FDA. This product is not intended to cure, or prevent any disease.